The First World War was an unprecedented catastrophe that killed millions and set the continent of Europe on the path to further calamity two decades later. But it didn’t come out of nowhere. With the centennial of the outbreak of hostilities coming up in 2014, Erik Sass will be looking back at the lead-up to the war, when seemingly minor moments of friction accumulated until the situation was ready to explode. He'll be covering those events 100 years after they occurred. This is the 91st installment in the series. Kaiser Wilhelm II was not known for his finesse or sense of decorum; in fact, he was notorious for his complete lack of tact. Take, for example, a speech he gave in 1900 urging his soldiers to model themselves on the barbarian Huns, or the time in 1908 when he told a British newspaper that most Germans hated the British. But the gaffe-prone German emperor outdid himself on November 6, 1913, when he turned a pleasant diplomatic meet-and-greet into a terrifying dinner party from hell for the guest of honor. 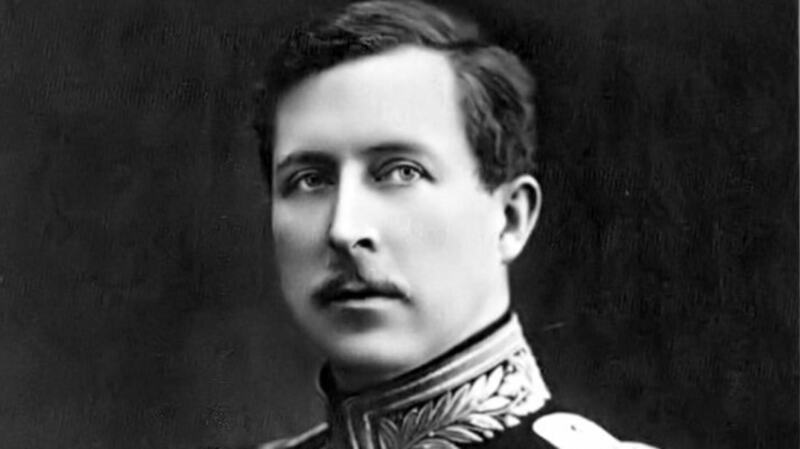 The unhappy object of Wilhelm’s attentions was King Albert of Belgium (above), a quiet, reasonable man whose personal modesty and intellect were matched only by his integrity and Catholic piety—a perfect monarch for an unassuming realm. Albert was paying the first visit to Berlin by a Belgian king since his uncle Leopold II in 1904; the Belgian royal family was of German descent (the House of Saxe-Coburg and Gotha, which also includes the British royal family, renamed the House of Windsor in 1917 due to anti-German sentiment) and the two countries enjoyed strong economic and cultural ties, so there was every reason to expect a friendly, low-stress encounter, limited to the usual aristocratic pastimes of horseback riding, dancing, champagne, cigars and gossip. It was not to be. It seems Albert’s hosts had decided to take the opportunity to persuade the Belgian king to ally with Germany in any future war with France—or at least allow the Germans to pass through Belgium unimpeded on their way to France, as called for by the Schlieffen Plan. Wilhelm and the German chief of staff, Helmuth von Moltke (the Younger), set about the task in typically muddled fashion, prying and bullying by turns as they sought to ascertain Belgium’s likely course of action. It was all especially bizarre given Wilhelm’s own reputation as a man of peace; unsurprisingly, this totally unexpected assault left their guests confused and frightened—Hohenzollern hospitality at its best. Speaking with Albert at the ball before dinner, the Kaiser pointed to general Alexander von Kluck and stated matter-of-factly that he was the man who would “lead the march on Paris.” This shocking statement was merely the amuse-bouche for a four-course meal of insane (and possibly inebriated) invective. The Belgian ambassador to Berlin, Baron Napoleon-Eugène Beyens, recalled: “The Kaiser discoursed at length on the political situation in Europe. He thinks it so bad, through the fault of France, that he regards war with her as inevitable and imminent… The King tried to overcome this disastrous error of judgment… All to no purpose. The Kaiser obstinately went on declaring that a conflict was inevitable and that he had no doubt of the crushing superiority of the German army.” Among other things, he cited the Three-Year Service Law as proof of French hostility. Wilhelm and Moltke were careful to avoid an open diplomatic breach; the Teutonic duo could always claim that they were simply inquiring whether Belgium would defend itself against France in the event of war, as required by the international treaty decreeing its neutrality. But following distinctly lukewarm German promises to respect Belgian neutrality earlier that year, all this talk of a hypothetical invasion was hardly reassuring. The dazed, distraught Belgians looked to the other Great Powers for help and reassurance—and to warn them about the prevailing mindset in Berlin. With Albert’s permission, on November 10, 1913, Beyens described the incident to the French ambassador to Berlin, Jules Cambon, who in turn passed the news on to Paris. Key figures in the French government took note: In December 1913, President Poincaré, citing Cambon’s report, warned his associates that war with Germany was coming in the not-too-distant future. Of course the Belgian warnings fell on fertile ground, as many French leaders already believed war was inevitable: in February 1913, Sir Henry Wilson, the British officer in charge of coordinating military planning with France, noted that top French generals were “of the opinion that it would be far better for France if a conflict were not too long postponed,” and the following month the warning was repeated by Francis Bertie, the British ambassador to France, who wrote to British foreign minister Edward Grey that “many Frenchmen … think that war is predictable within the next two years and that it might be better for the French to have it soon.” Thus fear and suspicion fed on itself in a vicious cycle, which soon became a whirlpool, dragging in all the nations of Europe.